Assessing and Measuring Innovation is part one in a 5-volume series investigating why some innovations have proven to be exponentially influential and identifying which elements matter most in transforming brilliant ideas into practical ones. 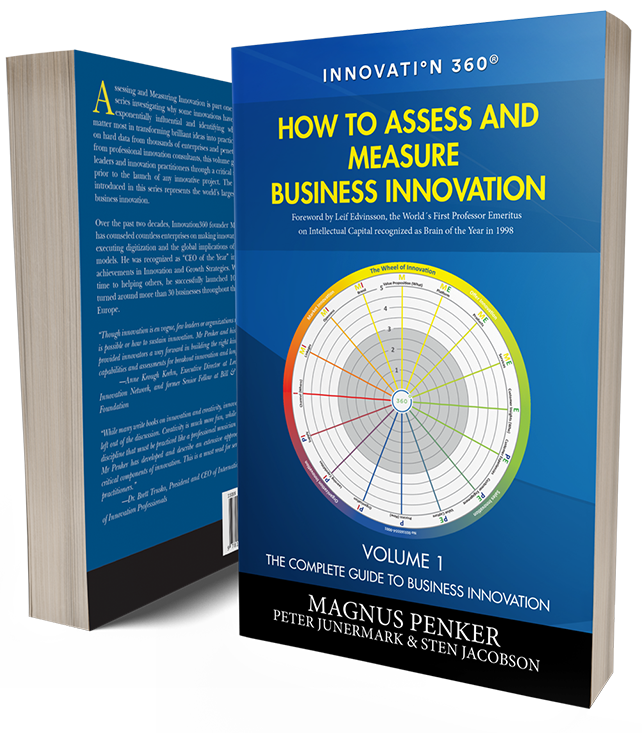 Based on hard data from thousands of enterprises and penetrating insights from professional innovation consultants, this volume guides business leaders through a critical selfassessment prior to the launch of any innovative project. 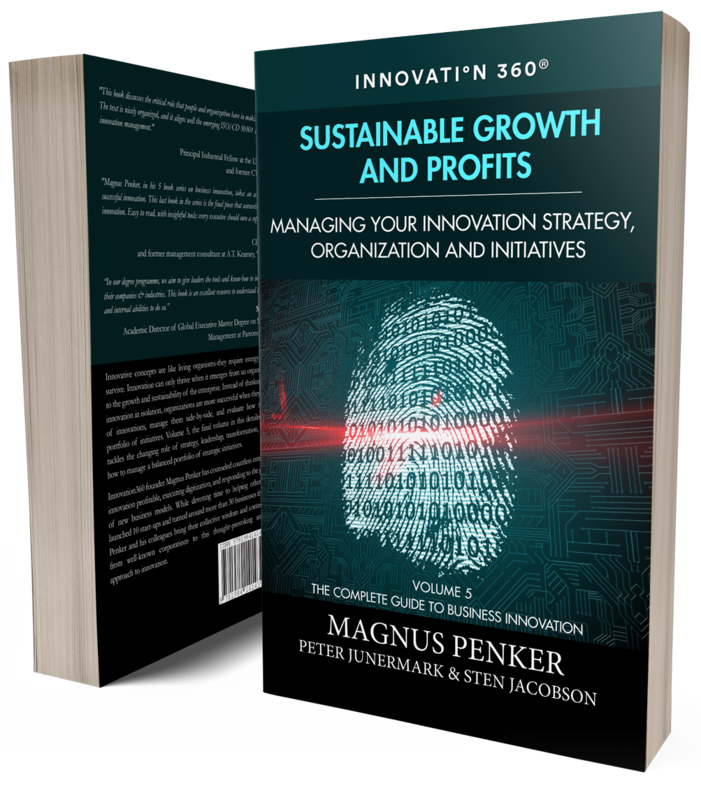 The InnoSurvey® introduced in this series represents the world’s largest database on business innovation. Innovation360’s mission is to support and strengthen the global innovation capability needed to address humanity’s grand challenges: Food, Energy, Water, Security, Global Health, Education, Environment, Poverty and Space; something we share with all our licensed practitioners as well as strive for internally. The aim is, therefore, to help 1 million+ entrepreneurs, companies, executives and scientists to become world-class innovators through our unique innovation measurement tool and database, InnoSurvey®, as a free-to-all digital online service. This is complemented by an enterprise tool and specialist services provided by our consultants, as well as licensed practitioners all over the globe.